Affordable housing construction is a complex undertaking with many moving parts. At Hooten, our job is to help streamline, manage and coordinate to make the process more predictable and efficient — for every stakeholder. Our core values: agility, integrity, inspiration and innovation are our daily reminders for who we aim to be each day in the world. Our senior leadership team each has 20+ plus years of experience building, planning, estimating, and project management. 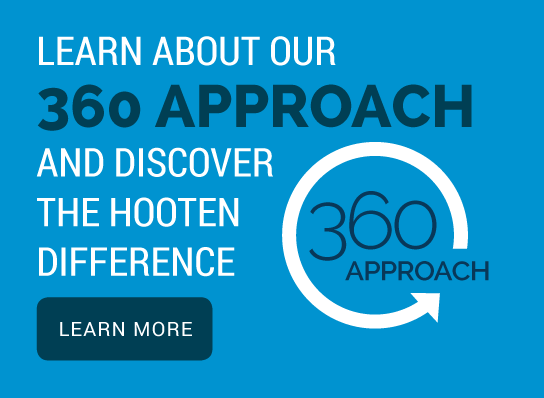 Our 360 Approach combines best practices with a commitment to continual improvement. We care about people, neighborhoods, community, and affordable housing. We give back. We deliver. We partner with our clients. We stand behind our work. Hooten is easy to work with, accessible, and provides excellent quality of workmanship.